Our community has 3,117 members, 500 online now. We’ve published 9,772 stories, shared 8,323 images, made 10,347 blog posts and written 121,511 forum posts. Em asked her Dad to mount a full length mirror on the inside of her door when she was nine years old. The mirror whispered to her just after she turned ten. Or rather, something in the mirror whispered. She had just started fourth grade, and for the first time in her life noticed that others looked at her, others judged her: her clothes, her skin, her weight, her hair. She started hearing words that had been around her all her life but that she had never really heard before, words like pretty and plain, like ugly and cute. She asked her Mom to take her shopping. They spent a sun-splashed afternoon browsing in several thrift stores, walking the aisles of clothes, saying, “This is cute,” and, “You’d look nice in this.” Em remembered the afternoon fondly. That same weekend, she asked her Dad to put up the mirror. He spent a noisy Saturday morning drilling the anchor holes into the door to hang it, drill in one hand, coffee in the other. In the mornings when she awoke she didn’t obsess overly about her appearance. She loved to sleep, longed to sleep, and so waited until the last instant to get out of bed. She’d splash her face with water, run a brush through her hair, brush her teeth if either of her parents were watching. She’d get caught up in the mirror momentarily when trying on clothes, adjusting her hair, testing her smile, wondering what she looked like to other people. Boys. Friends. Teachers. Her parents. But then her Dad would start yelling from downstairs that she was late for school; her sister would join in, sighing dramatically from the foyer, knapsack in hand. Em would take a rushed final glance in the mirror and fling herself out of the room. After school, after homework and chores, after supper, when her sister and her parents had retreated to the television, Em had her room to herself. She checked for the sound of the TV to be on downstairs. She closed the door to her bedroom. As the door closed, the mirror—because it was mounted on the inside of the door—revealed itself. Em looked into the glass. She saw herself. Well, not exactly herself. A reflection of herself. She looked at her reflection and cataloged every detail of her appearance. Her hair: the length, the cut the color. Her eyebrows (which she hated and thought to be her worst physical attribute): the shape, the size, the unruliness. She had seen other girls at school plucking their eyebrows, in the bathroom at school, but never knew exactly why, didn’t know the techniques involved, or the desired result. It looked like it would hurt. Pulling hairs out of your eyebrows with tweezers. Who would want to do that? She mentally pasted other hair styles and colors on top of her own, trying on different looks and personalities. She imagined dresses and pants and skirts and blouses worn by other girls at school hanging in her own closet, and would then try them on, without ever taking her eyes from the mirror, merely replacing the clothes she wore with clothes the other girls wore. Her Mom and Dad never let her wear make-up—they’d determined 13 was the magic age she’s be allowed to wear make-up and carry a cellphone—but in the mirror she had unfettered access to make-up and possessed the skills to apply it flawlessly. She often spent hours in this fashion, mentally examining her physical attributes, fantasizing about things she did not possess, like clothes, like make-up. One afternoon, after school, as Em stood looking in the mirror, her reflection shimmered. 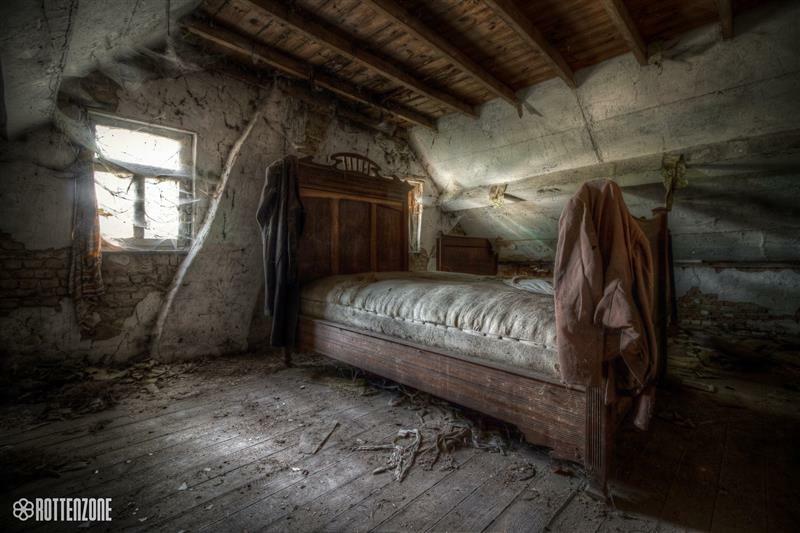 A tiny ripple began at the top of her head and traveled nearly instantaneously down to her feet, where it seemed to just sort of disappear into the floorboards and into the house itself. The sight reminded her of a television screen momentarily losing the broadcast: a moment of shifting shapes and morphing colors. Later, when she pondered the image away from the mirror, a more appropriate analogy came to mind. A chrysalis. Perhaps the girl in the mirror was not a girl at all, but a hard shell, a protective exterior of non-living tissue, and the part of it that was alive was not the outward appearance but instead something hiding under the skin, a pupa crouching within blood and bones, waiting patiently for the proper time to burst from its cocoon and reveal its true shape. Concurrent with that thought, Em’s reflection whispered to her. She saw her lips move in the mirror, though she knew her actual lips, on her actual face, remained motionless. “You’re ugly,” her own voice hissed at her. Em found herself unable to move, rooted to the ground, frozen in fear and incredulity. She felt her own body shiver, a traveling wave flowing from her head to her feet. The figure in the mirror remained motionless. “Will you let me make you beautiful?” it asked. For an endless moment she did. She felt beautiful. Her Dad opened her door. The mirror disappeared from view as the door opened. He smiled blandly at his daughter. “Dinner’s ready, honey,” he said. He waited a moment for a response, and after Em nodded leadenly he turned and headed back downstairs. Em followed him out the door, down the stairs, and into the bright false normalcy of the supper table.